Make: Vol. 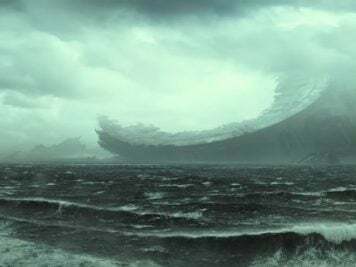 68 April / May 2019 is here! Guide to Boards! 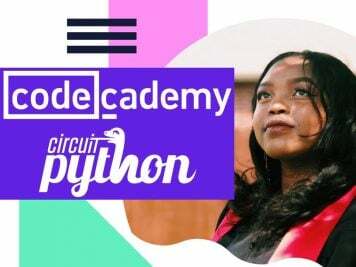 Tech Trend #1: The Push for Python @make @adafruit @circuitpython « Adafruit Industries – Makers, hackers, artists, designers and engineers! Make: Vol. 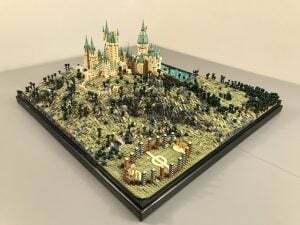 68 April / May 2019 is here! Guide to Boards! 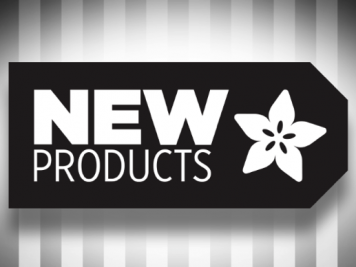 Here are some of the highlights that include some Adafruit boards and more! 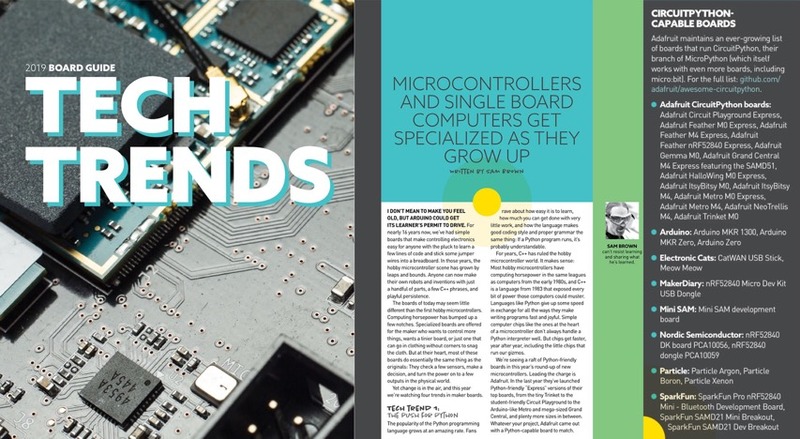 Cover features: Metro Express, Feather and Circuit Playground, as well as FEATHER-compatible Particle and multiple Linux boards that can run BLINKA (CircuitPython for Linux). 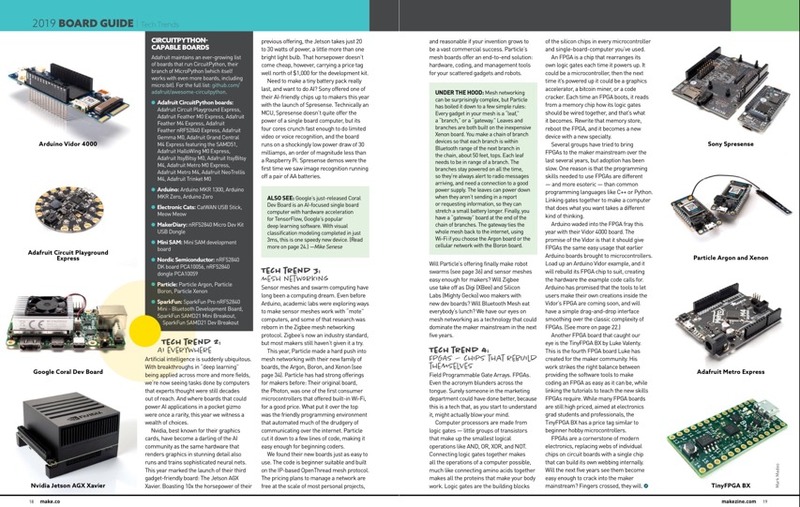 Tech Trend #1: The Push for Python. Make’s overview of Python support for electronics, including Adafruit hardware and more, by Sam Brown. awesome-circuitpython was included which lists all 30+ boards and we also now have circuitpython.org. 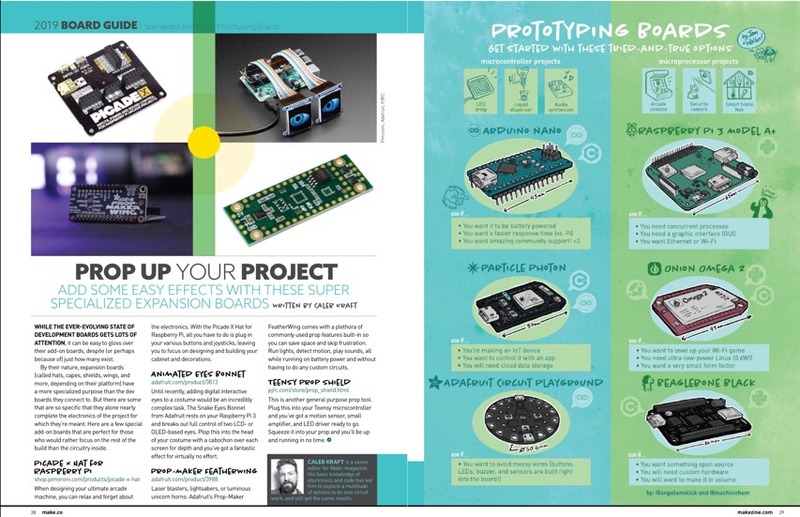 The insert-compressive guide has a ton of boards out there and some excellent new entries to the maker and pro market. 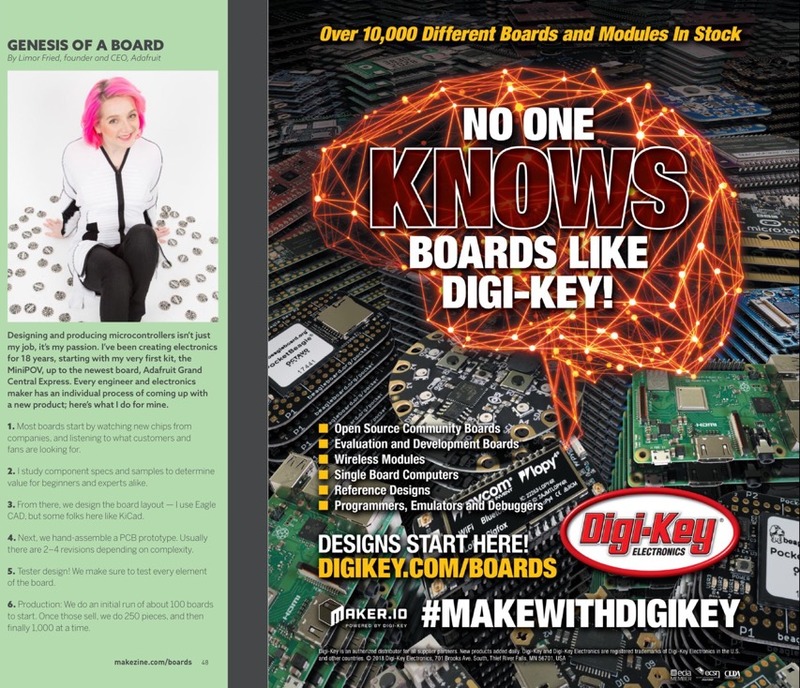 Also included “GENESIS OF A BOARD” with Ladyada! Noe and Pedro’s MINI Mac project with CircuitPython powered Hallowing! Caleb Kraft has an excellent round up of hardware used to make Props, including the Adafruit Prop-Maker FeatherWing AND the animated eyes bonnet. Also included in the prototyping boards section, Circuit Playground. 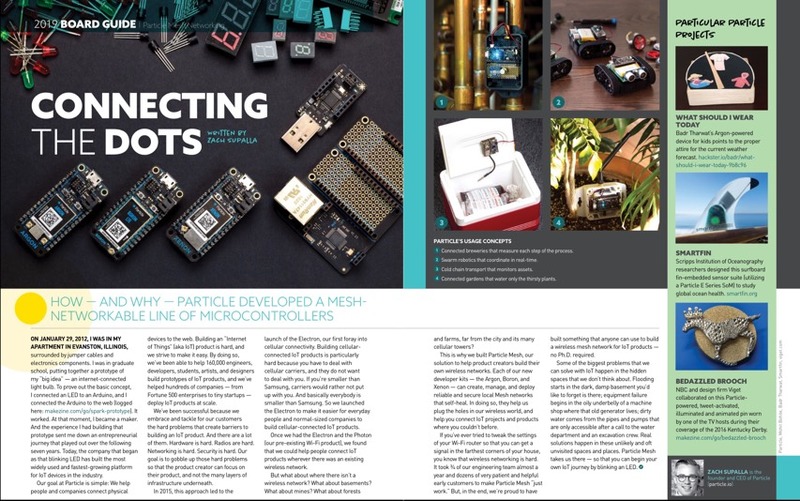 Zach Supalla, founder and CEO of particle, has an article on mesh networkable’ line of microcontrollers, particle. 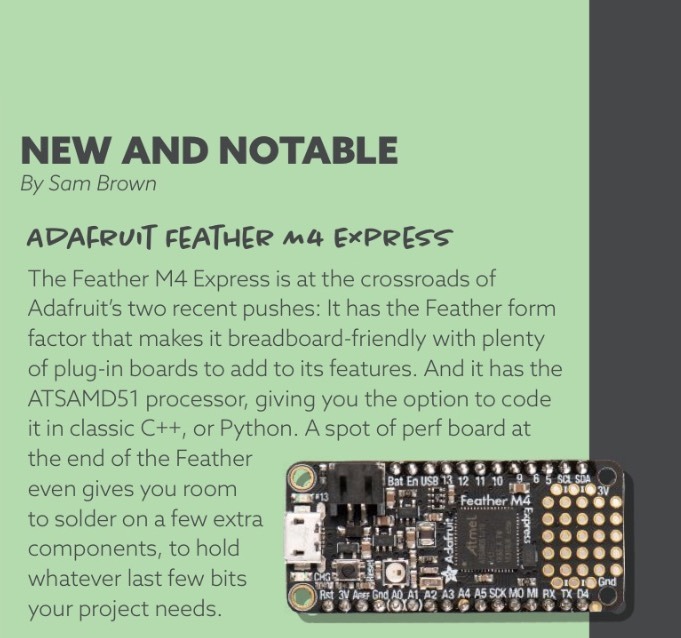 Particle has FEATHER compatible boards, and the latest ones can also run CircuitPython. 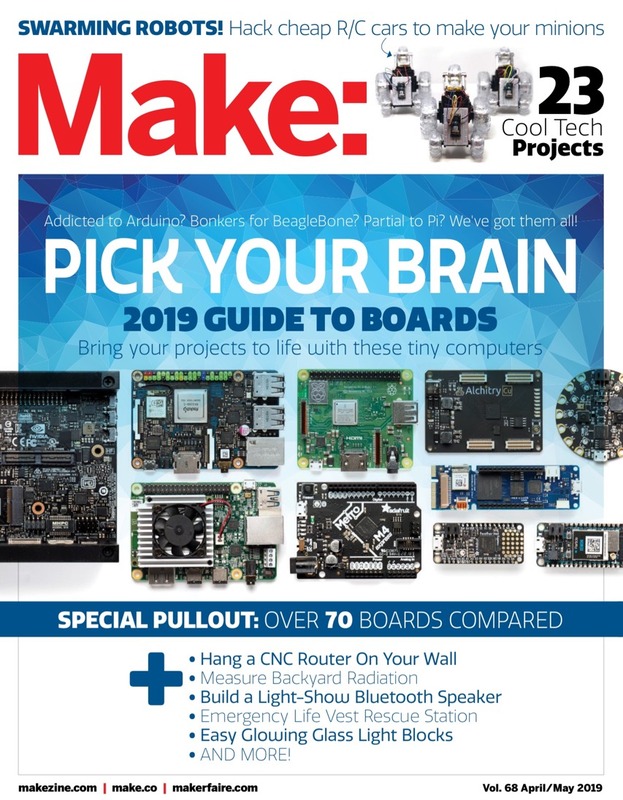 Makers’ Guide to Boards | Make: DIY Projects and Ideas for Makers. 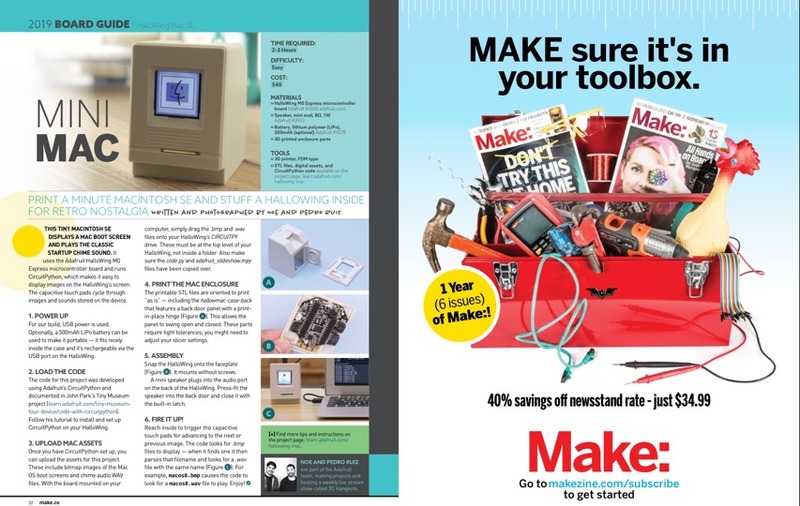 Make: Volume 68 – Digital Edition. 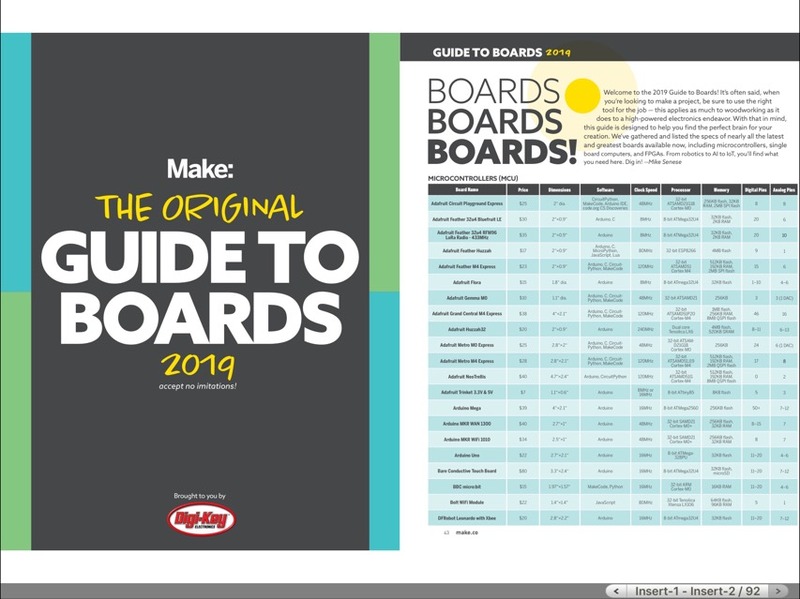 This is one of the best Make: board guides yet, nicely done Make: !